The Wall Street Journal, has confirmed that Apple will be releasing two versions of the iPhone 6, one with a 4.7” Display, and the other with a 5.5”display. 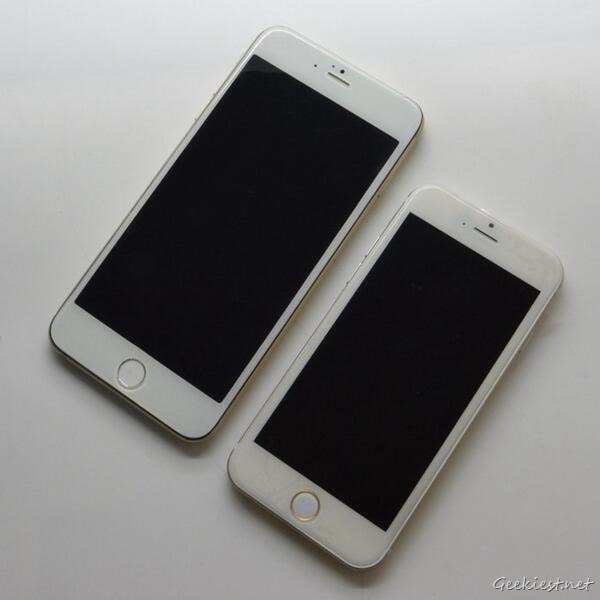 According to the report, Apple is expecting to sell more devices than the iPhone 5 series. WSJ’s report confirms earlier rumors, which we reported here, and here earlier. For the past few years, the iPhone has faced strong competition from Android devices, most notably from Phones with bigger displays, and hence the move to bring a phablet. Despite the competition, Apple had seen a significant growth in sales, reportedly having sold close to 36 million iPhones, in the last quarter which ended in June. This is a 15% increase, than what they sold a year ago. The company had ordered it’s Asian suppliers, to manufacture 50-60 million iPhone 5 devices, and has reportedly ordered them to produce 70 - 80 million units of the iPhone 6. The report also talks about Apple’s issues with the production of the 5.5” display. It is built using in-cell technology, which integrates Touch Sensors into the LCD, thus negating the need for a separate touch-screen layer. This will also help make the display thinner and weigh lighter. The company is also reportedly looking into using a Sapphire glass display, which could result in a heavier price tag.